A few days ago, Capt. 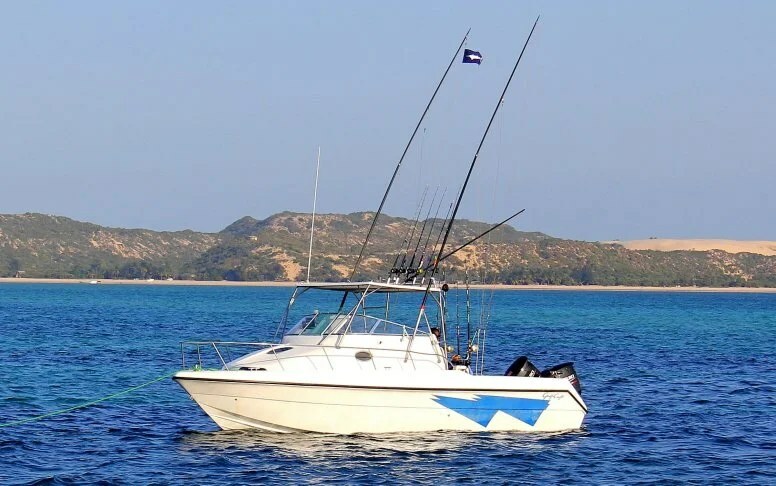 Duarte Rato reported on all the baby Black marlin been caught off the Bazaruto Archipelago, into this new year. These are amazingly beautiful fish – which put on a great show and fight on appropriate gear, be it conventional, spinning or on the fly. Here´s a very short clip of one of these rat´s being released aboard VAMIZI, it just shows you on beautiful these little creatures are. Amazingly these small fish come right into the inshore reef´s and are caught in depths as shallow as 15 meters of green water. ← Pumula Local. Surf and shad check.